Best Car Wax Review: filtering out the noise so you can make a choice. This Best Car Wax Review is designed to help you cut through the endless maze of advertising and marketing in choosing a quality car wax. The reality is that the car care industry has most of us chasing our tails endlessly in search of the next "shiny object" that will separate you from your money! While many of you out there may look for excuses to wax your car, most of us just want an easy to use car wax product that will deliver exceptional results without breaking the bank! But finding the best car wax in today's world of endless choices will often come down to your own personal tastes and the nuances of the specific brand of car wax you ultimately choose. "Darren, I am tired of this endless search for the best car wax! Everyone has a different opinion and the detail forums are filled with one so-called exert after another! Does it really have to be this complicated!" Like every other area of life, advances in technology, chemistry, and manufacturing have made all our lives better; such is the case with surface car care. Now waxing your car is easier than ever due to so many quality products being available; it is hard to go wrong! Unfortunately we are also buried in an endless amount of choices all screaming at us with slick marketing and advertising! Many of you feel like you are chasing your tail....and the car care industry is all too willing to keep the chase going! Car wax and sealants are for protection and visual enhancement. Car wax can only enhance what is already there; meaning this: if your car paint is full of scratches, blemishes, and other flaws, the best auto wax in the world is only going to be able to do so much in enhancing your cars less-then-perfect appearance. Use detailing clay to remove air-born contaminants from car paint to prepare the surface for the next step(s). 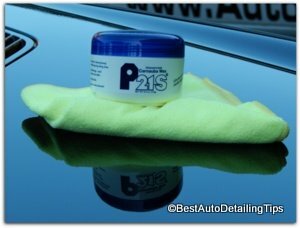 Polish car with a car polishing system designed for true beginners, and one that can produce truly professional grade results even from a beginner. Choose among the top rated car waxes below and wax on; wax off! I could bury you with endless amount of choices. Unless of course you enjoy reading endless reviews, spending endless hours, reading and researching yourself into a frenzied froth of frustration and confusion, just use my choices below based on your budget and commitment to enhancing and protecting the paint on your car. Car wax suggestions for every level of demands; from entry level to premium, from absolute beginner to hard-core enthusiast. Every product has been tried and tested to produce excellent results with a user friendly experience. Each product is from a trusted and recognizable source. Each product represents the last car wax 95% of any of you out there would ever need if you kept you selection to one of my suggestions. Darren's Note: If you are a committed fan of synthetic sealants and want my professional review on these man-made products, please see my car paint sealant review. Any of these products from my best car wax review promise to produce excellent results. If you have not experienced the latest in what the advances in chemical engineering has brought to the world of car waxes, all I can say is you are in for a real treat! My list of car wax ratings starts with what I call entry level to enthusiasts grade car waxes. Premium grade products are not for everyone, but once you try premium it is hard to ever go back. But with that said, there is something here for everyone and they all promise to perform! Entry level product...if you want to call it that. One of my personal favorites and if I had to, could live with this paste wax from Meguiar's. It is hard to go wrong from a quality manufacturer like Meguiar's. Will not be as user friendly as the ultimate enthusiasts' grade from Wolfgang at the bottom, but for anyone on a budget, this product still remains one of my favorites when dealing with a budget and certainly worthy of making the best car wax review list. Non-staining formulation; won't stain black trim. Considered enthusiast to professional grade. Premium blend of natural carnauba and synthetic polymers. Non-staining formulation; won't stain black trim pieces. Can be used in any conditions; even hot and humid conditions. Will not dry to a white chalky haze; wipe on, wipe off. Definitely considered enthusiast to professional grade. 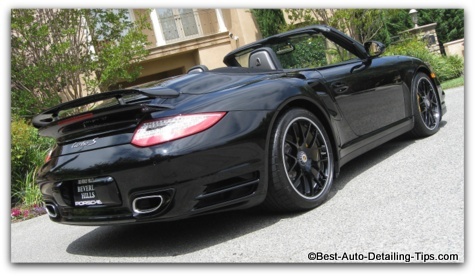 This best car wax review is designed to help you narrow down the selection process. By clicking on any of the links you will be taken to Amazon where you can read additional reviews on any of these car waxes. I have tested all of these and they all promise to deliver excellent results. 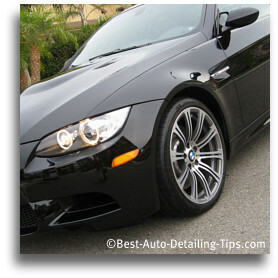 A paste wax is still the ultimate in visual enhancement; whether you are working on black or light colored car paint. All the products above are hybrid blends using both natural and synthetic ingredients; the best of both worlds. Each wax is time-tested and proven performers that promise not to disappoint! Apply the paste wax as a solid foundation first (after washing and using a clay bar). Reapply every 3-4 months. Use one of these waterless wash products after ever wash to maintain and to extend the life of your base wax applications. Thank you for visiting Best Car Wax Review. I bet you know of at least one other person who would benefit from the information I have taken so much time to produce, so please post this to your FB or Twitter account and help me spread the word! Or just send them the link and pay it forward in that manner. I have made it super easy to spread the word with my “Socialize It” buttons!